Improved AR capabilities for mobile platforms are one of the biggest trends of 2018. Apps with AR features like Yelp, Google Translate or Pokémon GO are only the beginning. Augmented reality allows to create innovative user experiences that support your brand. Mobile AR is on the Rise! Why? Why use Wikitude instead of ARKit or ARCore? What’s the Future for AR? Those apps mix the real world with computer-generated content. They thus show the user a different reality. In that sense, augmented reality (AR) is quite similar to virtual reality (VR), which is why they are often confused. Looking for Qt Training, Consulting or Software Development? In contrast to VR, augmented reality does not take you to a different place. It enhances the world around you with digital information. For example, to see the route of your navigation system mixed into the real street image while driving in your car. 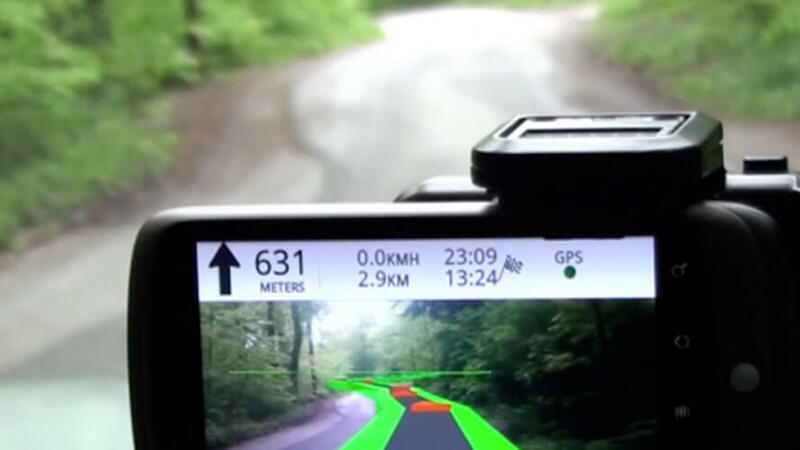 The world’s first pedestrian and car navigation system that integrates AR was the Wikitude Navigation app. The app was a revolutionary step forward in the navigation and guidance field and eliminates the need for a map. Since Apple launched its app store with 20k apps in 2008, it experienced a rapid growth and now offers more than 3M apps. More than ever, businesses and developers thus thrive to provide unique app experiences that support their brand. They empower users to be creative and connect in order to boost engagement and retention rates. Telekom Electronic Beats partnered up with the Gorillaz to create a new dimension in music. The Lenz app transforms magenta surfaces into digital portals which display exclusive Gorillaz content. The Washington Post has published another successful AR-enhanced story. This time, the Post’s article promotes all 23 of the UNESCO World Heritage sites situated in the USA. To get readers to learn about, appreciate, and visit these locations, the daily newspaper included an AR feature to get users even more involved with the story. Following in the footsteps of Pokemon GO, Augmentors is the world’s first cross-platform (iOS & Android) augmented reality game backed by the Bitcoin Blockchain. Players can trade, swop, battle, and train gaming creatures in the real world. Early stage game supporters will be rewarded with unique currency and one-of-a-kind creatures. 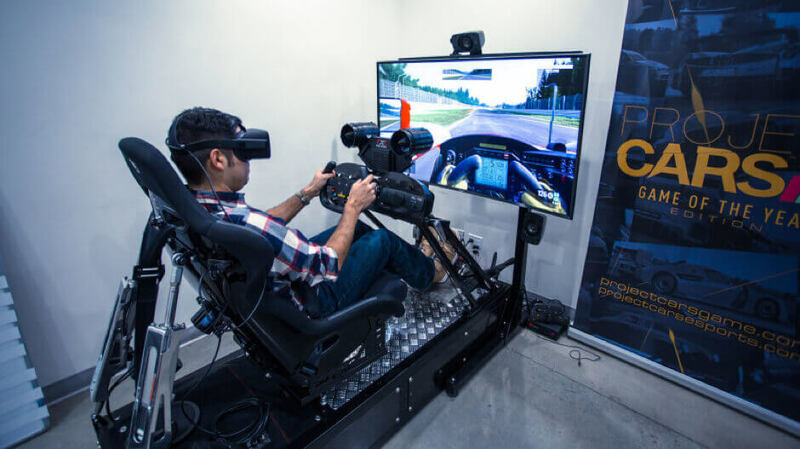 Instead of shipping and installing costly demo equipment to be displayed at trade show exhibitions, Lufthansa Technik is innovatively using augmented reality technology to show their customers detailed installation information and connectivity solutions. Telekom recognizes magenta surfaces to replace it with different content. The Washington Post app tracks reader’s surroundings and instantly layers the camera view with virtual animals like a bison. Augmentors combines such Instant 3D Tracking with Image Recognition to bring game cards to live. You can integrate some of these features in your mobile app with Apple’s ARKit and Google’s ARCore. But you also have the option to rely on cross-platform tools which go beyond ARKit and ARCore. In fact, the above showcases are all built with the Wikitude AR SDK. 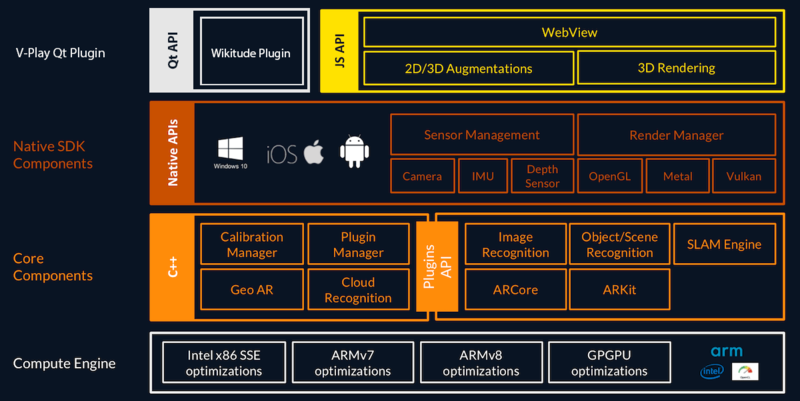 Being in the market since 2008, Wikitude bridges the gap between different devices, platforms, and levels of AR support. With a single cross-platform API, it allows over 100,000 developers to integrate AR features across iOS, Android and Windows with a single code base, while having a much higher market reach than ARKit and ARCore. The Core Components handle features like Image Recognition and Object/Scene Recognition. Wikitude built the so-called SLAM Engine to offer all AR features across devices and platforms. In case Apple’s ARKit or Google’s ARCore are available, Wikitude can dynamically switch to these native frameworks instead of its own engine. In addition, Wikitude can also run on iOS, Android and Windows devices that do not have such native support for AR. For detailed infos which devices are supported, see the official developer docs by Apple for ARKit supported devices, iOS version market share, and by Google for ARCore supported devices. So if your goal is to make your app available on as many devices as possible, Wikitude is the go-to solution. 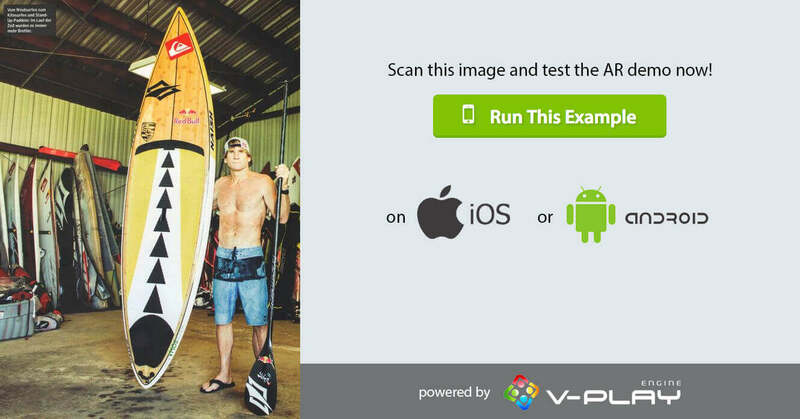 To use Wikitude, you can embed their augmented reality view into your existing native apps. It is not required to modify other views of your iOS, Windows or Android app. Wikitude also offers several plugins to use their SDK in conjunction with cross-platform app frameworks like Felgo, via its Qt Plugin. into existing or new native applications. The Wikitude Qt AR plugin builds upon the native APIs of Wikitude and can run augmented reality worlds created with the Wikitude JS API. If you have an existing or newly developed app based on Qt, you can simply load the Wikitude AR Plugin from QML-based Qt Quick applications or C++-based Qt Widgets applications. Since the release of Felgo Engine’s Wikitude Plugin you can integrate and use the Wikitude AR SDK in your Qt cross-platform app. It only takes a few lines of code. The examples below show how to run some of the Wikitude AR examples with Felgo. 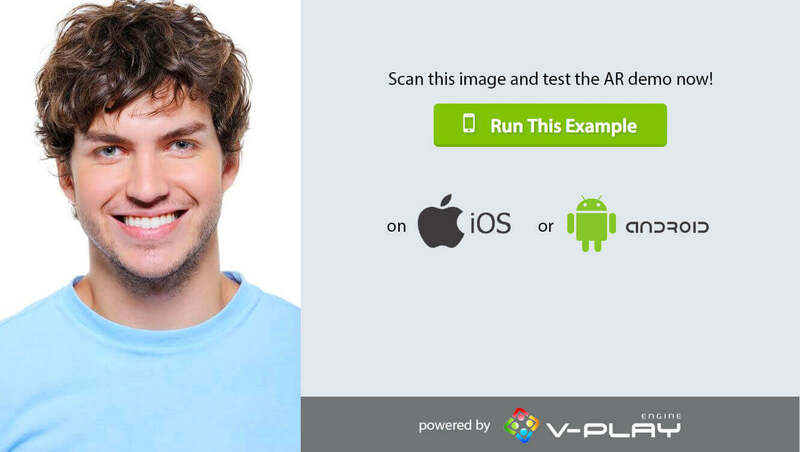 title: "AR Example - Download"
You can test the Image Tracking AR demo with the image below. It is also found in the Wikitude Plugin documentation. Most of the QML code above is a little overhead to let you instantly preview the example with Felgo QML Live Code Reloading. What is Felgo QML Live Code Reloading? It allows you to run and reload apps & games within a second on iOS, Android and Desktop platforms. You can just hit save and the app reloads instantly, without the need to build and deploy again! This is especially useful for AR, which usually requires a lot of on-device testing to tweak settings. You can also use it to run all the examples listed here from the browser, without having to setup any native SDKs on your PC. Just download the Felgo Live Reload App, for Android or iOS to connect a mobile device. The code above downloads the configured Wikitude example as zip, extracts the archive, and runs the demo in a Wikitude augmented reality view. Pretty amazing, actually. Go ahead and try it yourself by clicking on one of the “Run this Example” buttons. The possibility to download assets or code at runtime is a super useful advantage of Felgo. This means that the original app can stay small while additional features are downloaded on demand. However, if the AR part is essential in your own app, you can also bundle the Wikitude code so the AR assets are available without an additional download. For those who are not very comfortable with coding, Wikitude also offers a simple drag-and-drop web editor: Wikitude Studio. It is your one-stop shop for generating and managing target collections, as well as for creating and publishing AR experiences! Wikitude Studio optimizes your projects for the Wikitude SDK. It minimizes the effort of creating image target collections (wtc files) and object target collections (wto files). The Studio Editor makes it possible to add augmentations to your targets. You can test AR experiences and make them available to clients inside the Wikitude App, or inside your own app built with the Wikitude Plugin. Show Points Of Interest around you, based on the GPS position. For example to implement Augmented Navigation or see infos of Hotels or Restaurants around you. Drop images, gifs or videos onto an image. For example to let users create and share AR experiences, similar to SnapChat / Instagram video processing with tracked objects. Show additional information or 3D scene when scanning a certain image. readonly property url samplesJsonFileUrl: samplesDl.available ? samplesDl.getExtractedFileUrl("samples.json") : ""
readonly property string samplesJson: samplesDl.available ? fileUtils.readFile(samplesJsonFileUrl) : ""
iconSource: modelData.is_highlight ? 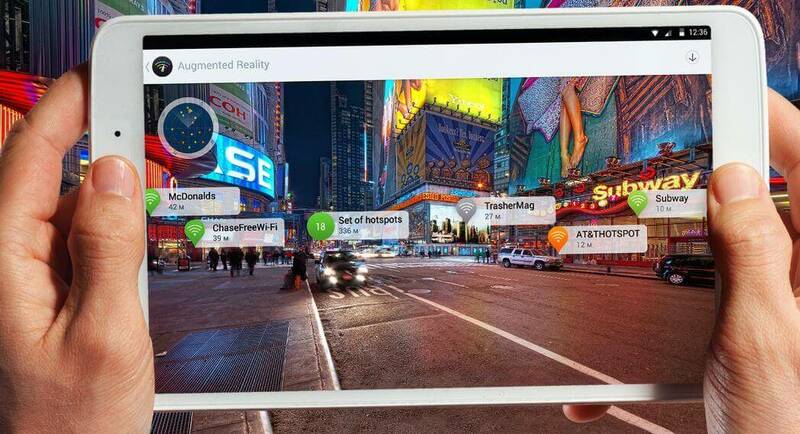 IconType.star : ""
detailText: !modelData.isHeader && modelData.path || ""
Augmented reality still has a lot of exciting features and functionalities in store for users, for example with Cloud AR and Multiplayer AR capabilities. Wikitude already offers a cloud-based image recognition service. The latest release, SDK 8, which is supported by the Qt Wikitude Plugin, brought many interesting features like Scene Recognition, Instant Targets or Extended Object Tracking you can now use. And in terms of shared experiences, support workers can display 3D content even though they are remote on another user’s device. image tracking to make AR apps even more dynamic. The use-cases for shared augmented reality are vast, for both mobile games and apps. For example, your AR navigation system could show augmentations that other users placed. You would then also see digital warning signs along the road in addition to the route. If you have a business request for these cutting-edge features currently in development or if you need assistance in developing an AR experience with high quality standards, don’t hesitate to drop a line at support@felgo.com or contact us here. The Felgo SDK is free to use, so make sure to check it out! If you enjoyed this post, please leave a comment or share it on Facebook or Twitter. All of these tutorials come with full source code of the mobile apps! You can copy the code to make your own apps for free!